Price listed is for three glass stones. 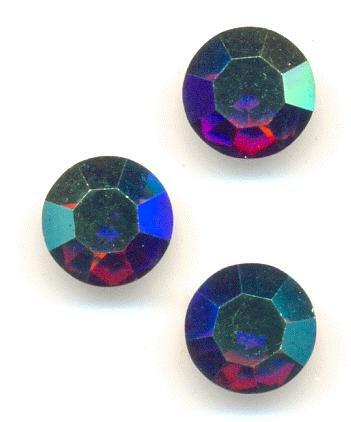 These are approximately 39ss (8.1-8.4mm) Czech Optima amethyst AB machine cut rhinestones. They have faceted tops and pointed gold foil backs.